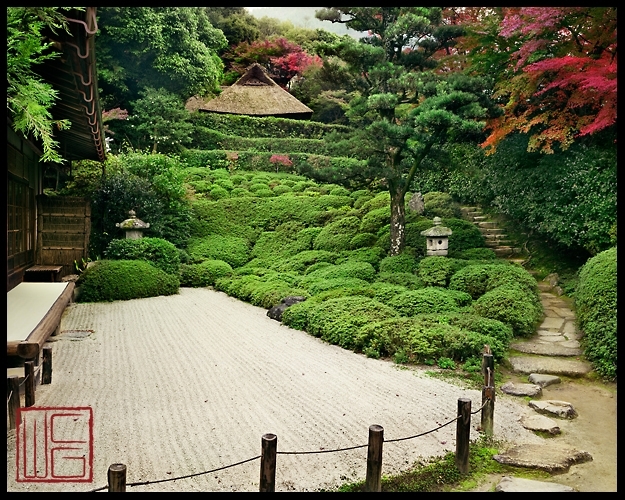 As you can tell from the quotes above, William saw the endless possibilities in capturing the beauty of the gardens in Kyoto. 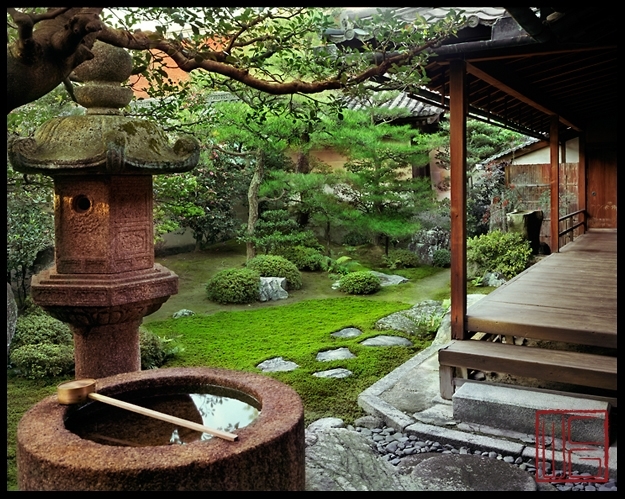 Each garden has its own unique character and style and capable of revealing the different features during the different seasons, so needless to say that the visitors with keen senses would never experience the boredom. 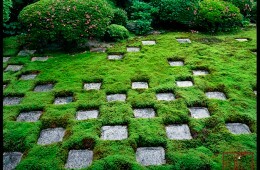 Something may be sensed immediately and others gradually. 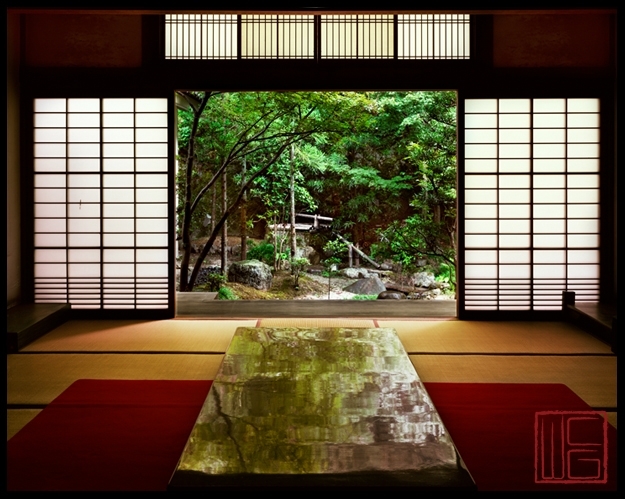 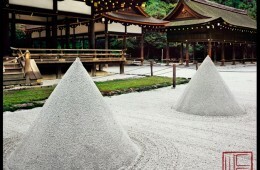 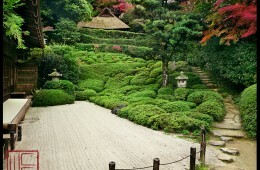 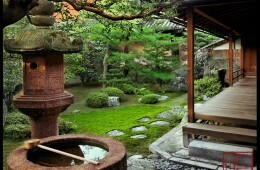 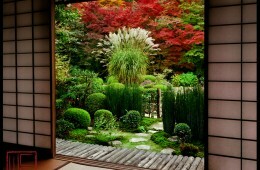 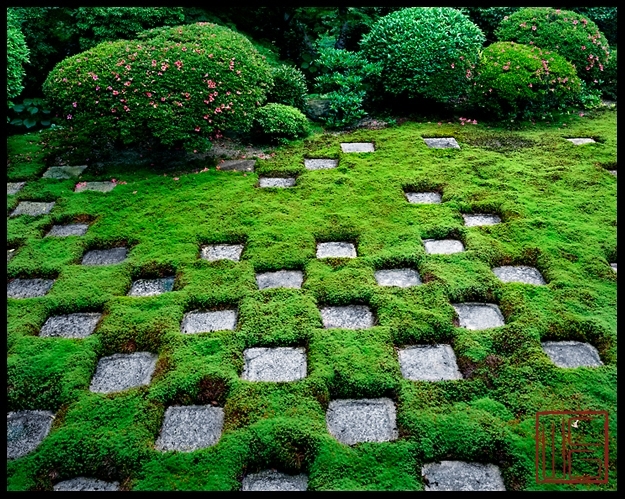 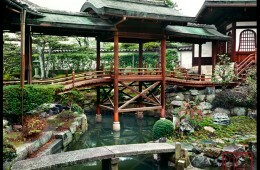 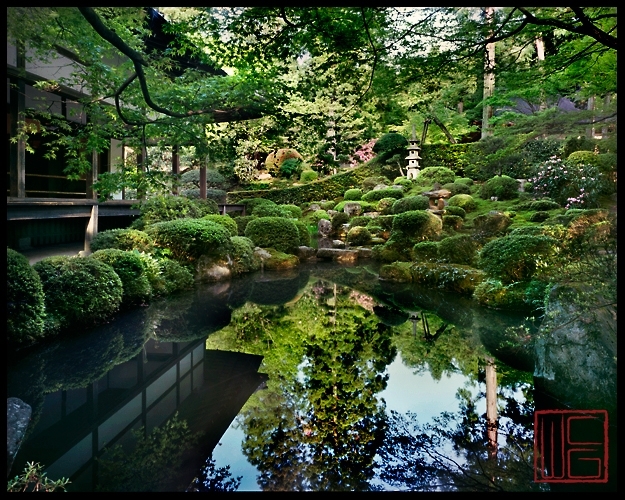 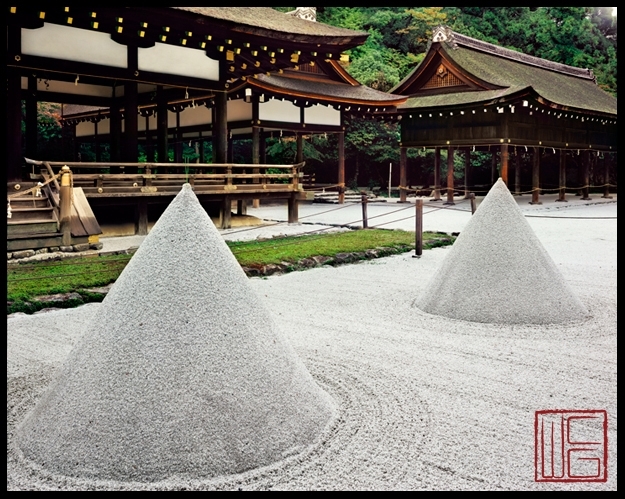 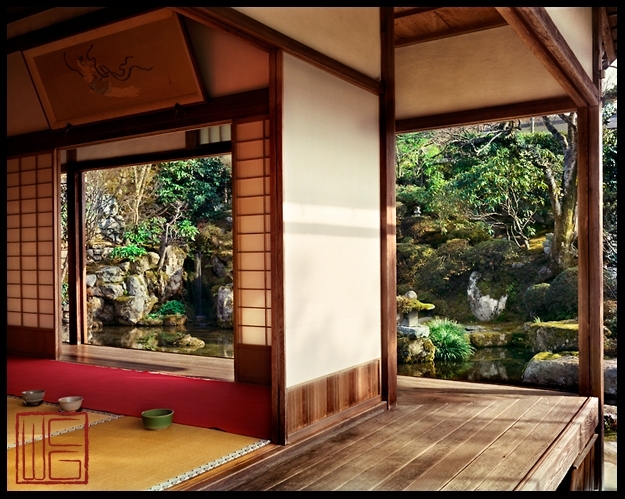 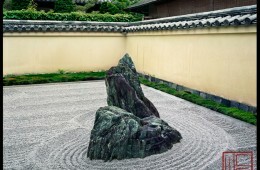 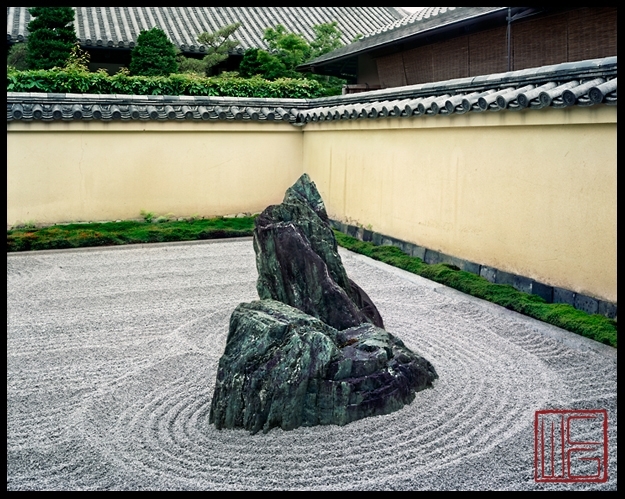 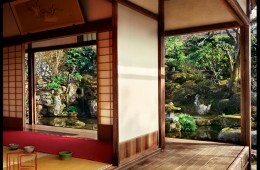 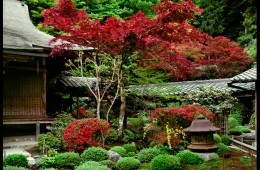 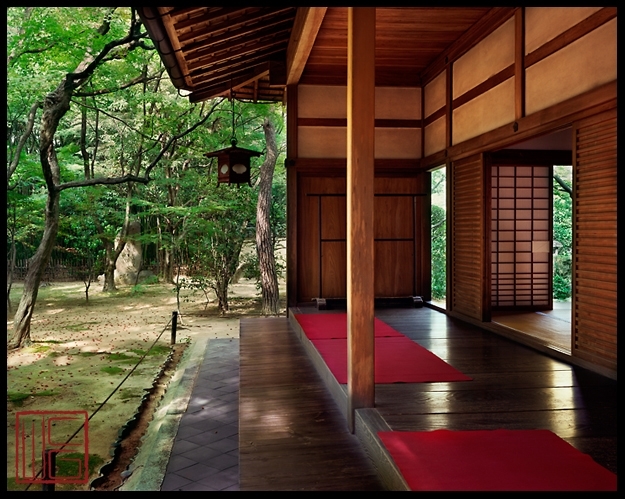 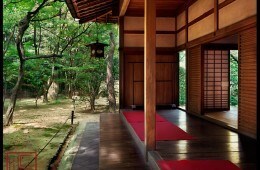 William began taking photograph of gardens in Kyoto during the mid-70’s. 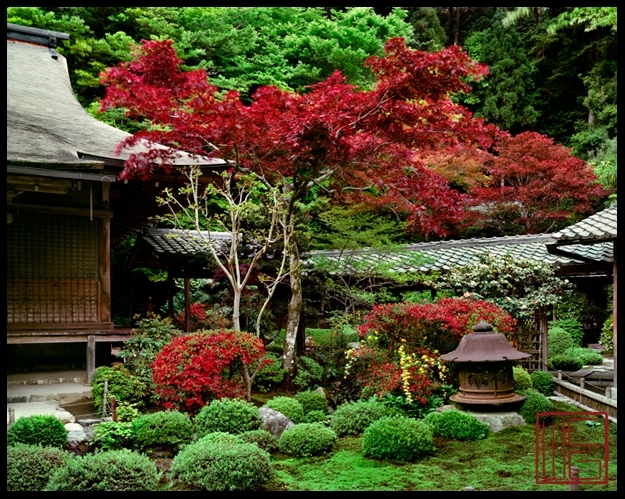 For over 30 years, the beautiful gardens in Kyoto had captivated his heart, and the mystery was gradually revealed to him requiring a larger sized camera to capture it. 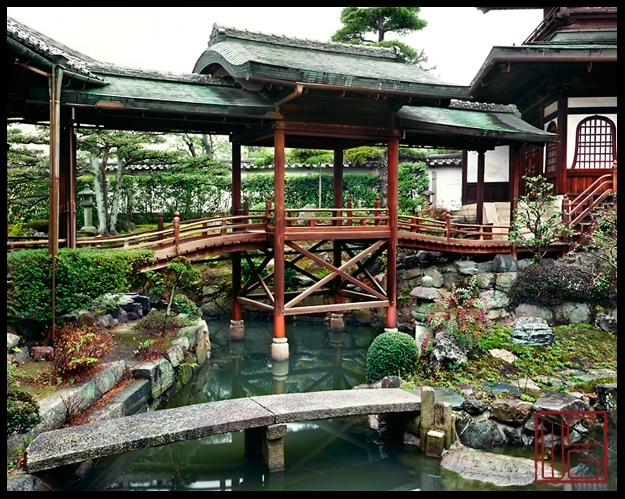 Initially, he had used the 35 mm and the 4 x 5 format negatives, and then he started to employ and experiment with the 8×10 format negatives and finally moved onto using the 8×20 view camera. 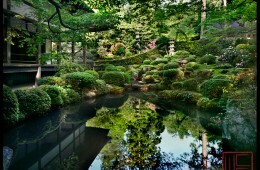 The large format view camera became the answer he had sought. 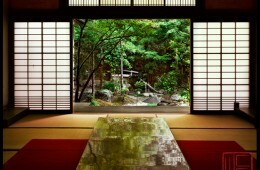 It enabled William to finally capture the right composition he desired.